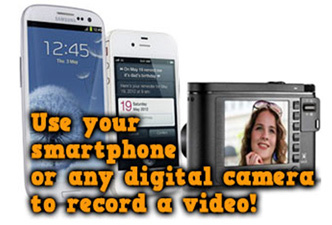 Follow the instructions below to add video to your listing! 1. Record a 3 MINUTE walkthrough of the INTERIOR ONLY of your unit, explaining the equipment and any other details that should be disclosed. 2. 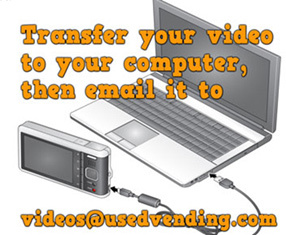 Upload the video to your computer using the USB connection provided with your camera, and then email the video to videos@UsedVending.com. 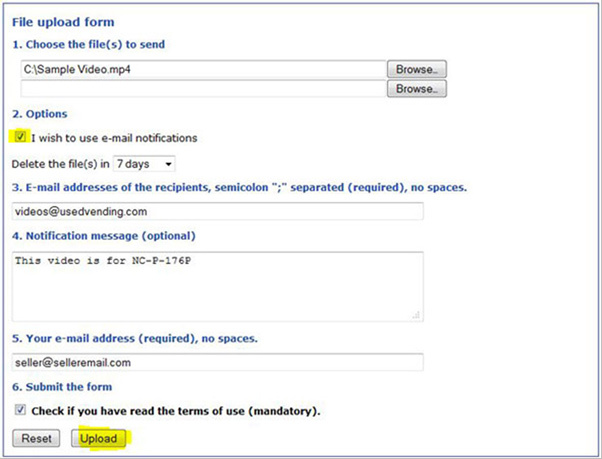 If you're using a smartphone, you may be able to email the video directly from the phone (videos longer than 1 minute may be too large to email from the phone). NOTE: Our email only allows videos up to 20Mb. If your video is 20Mb or larger, please use the upload method below. 3. If the file is too large to send by email, you can use our upload tool, found at FileConvoy.com (See graphic below to upload correctly). 4. Your video will be reviewed, and upon approval, will be added to your listing. This could take up to 5 business days. 1. Clean your truck or trailer before you begin. 2. Don't get too close with the camera. Make sure your audience can see what you're shooting. 3. Make sure the video is in focus. 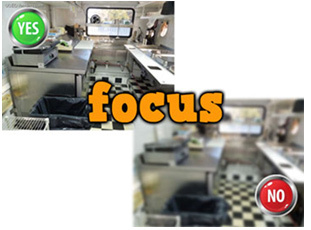 If your camera has AutoFocus, use it. Most smartphones are always on AutoFocus. 4. 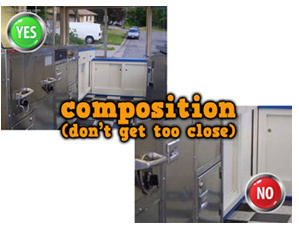 Describe the equipment in your unit as you walk through it (it may help to write it down before you begin). 5. Be specific with information you have available ("30 gal. water tank," instead of just "water tank;" "22 cu.ft. True Refrigerator," instead of just "refrigerator"). 6. If you have a truck, be sure to show the mileage in the video, as well as the truck starting so the buyer can hear it running.